On 29th September the latest St John’s Coach trip set off from the Church. 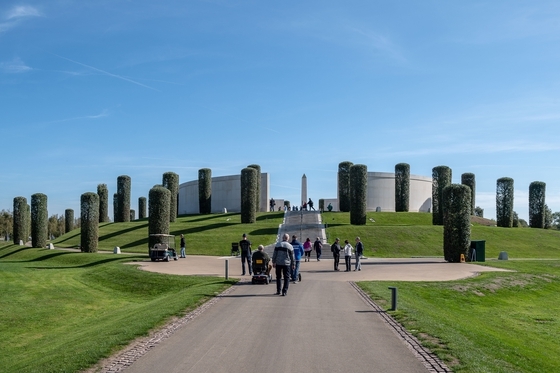 This time we were headed for the National Memorial Arboretum near Lichfield and it was a place that I personally had wanted to visit for a long time, but never got around to it. We arrived in time to grab a coffee before the daily Act of Remembrance took place in the Chapel at 10.50. This consisted of a short recorded message and the Last Post followed by a 2 minute silence.